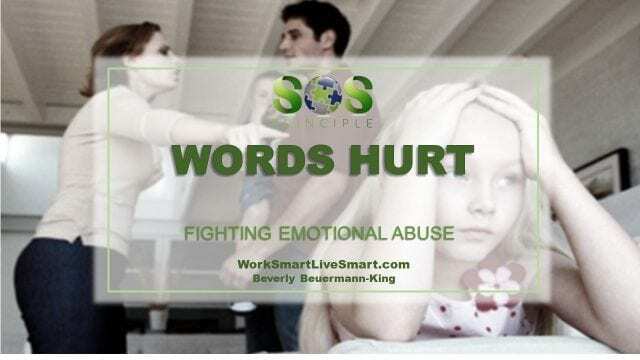 Words Hurt: Emotional Abuse and Stress - Work Smart. Live Smart. “You can’t do anything right”. “This is your fault – It’s always your fault”. Emotional Abuse is the tearing down of another human being and it can be the result of inappropriately handling one’s emotions, the excessive need to control others and the situations around them, or it can be learned from those who have had influence on the person such as parents, coaches or supervisors. Those who are emotionally abusive, are just as dangerous as those who are physically abusive. Many of us have grown up, been in a relationship with, worked for, or even been coached by, someone who was emotionally abusive. It is often seen as a normal part of the culture of the organization and tolerated. We see this in elite sports…that coach who thinks he gets the best from his players by belittling them, pitting them against each other, and blaming them for the losses. We see this in the workplace…CEO’s who yell obscenities at their workers, who demand unquestionable obedience, or who pit teams against each other. We see this in the home…where a partner isolates, belittles and ignores. Emotional Abuse can lead to many emotional, physical, cognitive, and behavioural issues. It can impact social development, future success, and relationships outside of the abusive relationship. In children, emotional abuse can be seen as a pattern of behaviour that attacks a child’s emotional development and sense of self-worth. (National Committee for the Prevention of Child Abuse) In children, you may specifically notice signs such as the development of rocking, sucking or biting one’s self, being inappropriately aggressive, speech problems, tantrums, excessive anxiety and fears, and an inability to relate to others. The child may make self-hate statements, and/or be shy and overly compliant. The existence of one of these signs may not indicate emotional abuse, however, several of these over a period of time should not be ignored and should be investigated and explored further. People who are the target of emotional abuse are made to feel insignificant and incapable. They may actually begin to feel that they have brought this on themselves and that it really is their fault. Often, having an advocate or a person that they can confide in, can help them to see the abuse is not their fault and to reach out for support to deal with the abuse that they are facing. Many organizations and workplaces now have policies and guidelines on how to handle bullying and harassment situations, including how these situations need to be documented, reported, investigated, and rectified. Here are some general suggestions to deal with an abusive situation. 5. Talk to someone – find someone you can trust – a family member, friend, co-worker, EAP, supervisor, spiritual leader, community advisor or health professional. Call the Distress Centre and they can help make the appropriate referral. These resources can help you to examine all of your options so that you can decide what is best for you. 5. 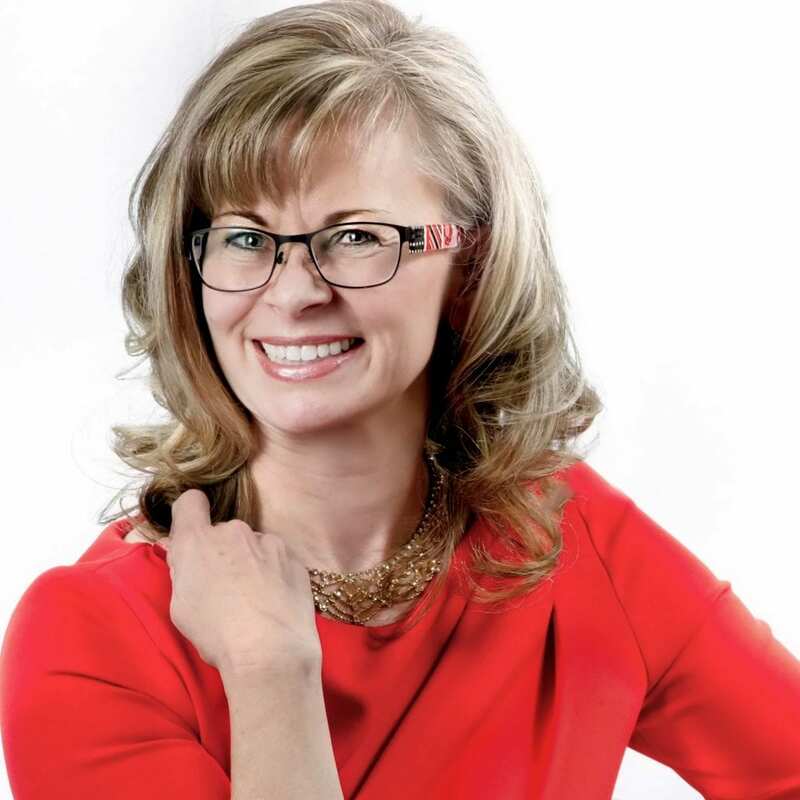 Get help – find a counselor, therapist or a doctor that can assist you in examining why you attack and tear the other person down and help you to take personal responsibility for the steps needed to change your reactions. The childhood rhyme of “Sticks and stones may break my bones, but names will never hurt me” may have some truth to it. But continual emotional abuse does hurt. It can affect the development and the self-esteem of the individual and it may ripple out to affect those around the person who is being attacked. Emotional abuse is serious but help is available – both to the one being abused and to the person being the abuser. Recognition is the key.